Ah, the best home gym system. Wow, home gyms have come a long, long way. It used to be the guy at the end of the block had a garage with a weight bench and a punching bag and that was considered a home gym. Or a patio out back, devoid of any furniture, with a barbell and some weights on the ground. Since then, there are many different options. Now we have complete home gym systems. My goal with this post is to walk you through what I think are the best home gym systems available today. Please check out my helpful guide on buying a home gym. Maybe you belong to a gym and that is absolutely fine. For me, the biggest hassle is coming home from work, throwing some food down the hole, picking up or dropping off kids at various places (often at the same time in two different spots) and still finding time to make the trek to the gym. Just give me a chance here. What do you think about a home gym? Working out is a critical part of my life, so this is a subject near and dear to me. I had a pretty severe back injury just a few years ago and now my job is to keep my body in the best shape I can. That is why I spend hours each day pecking away at a keyboard! Just kidding, I digress. On a serious note though, yes, it is critical for me to maintain a strong core so that I can continue to have a healthy back. While I don’t currently own a home gym system, I have been giving serious thought to it, and have done a lot of research. Research that you will hopefully benefit from with this review. Well first off, it is convenient. As I mentioned earlier, my life is go, go, go. I really have to make a concerted effort to get myself to the gym 5 days per week. Having a home gym would certainly help out with that. Another reason to work out at home is cost. Think about those monthly fees adding up month after month, after month. It is possible to have paid for a home gym in one year or less, obviously depending on how much you pay. No travel time. This one is also near and dear to my heart. After I get home, eat dinner, run the kids around, the last thing I want to do is jump back in traffic and go to the gym. Who can work out at home? Everyone can workout at home. With the machines that are designed these days, you can really get a great workout without leaving your house. You can workout at your own pace and on your own schedule. This is a question you need to ask yourself when you are choosing a gym system. Do you want to lose weight, gain muscle, tone your dad bod? Yes, yes and yes right? Well, the different systems can and will play to different purposes which will be discussed later. Where do I put this thing? That is a great question. If you have space in the garage, basement or a spare room, this is a great way to use that extra space. Some of these can collapse and make storage even easier. Some will not. So this is definitely something to consider. Whenever you want, that is the beauty. No travel time is a great thing. It only takes me about ten minutes, in reality, to get to my gym. But, that is twenty minutes round trip, at least. That doesn’t include check-in, etc. So now your hour workout just turned into at least an hour and a half. Well, that is up to me and you. I hope to help you out with that question when we get into the meat of this thing. I will point out the features and you can decide which ones will fit your style. Aside from budget and space considerations, there are different types of home gyms, which we will get into. There are resistance based gyms and gyms with actual weight plates. Some of the systems work with your own body weight. Again, this depends on your goals. If you want to tone and work on flexibility then a bodyweight system might be right for you. If you want to beef up, then you might go with a machine that offers more weight options. Before we get too far, I do need to let you know that you should always consult a doctor before you begin an exercise program. So with that, let’s get right into the best home gym system! This is a great entry level gym for your home. You will love the versatility of exercises you can perform on this unique machine. As you can see, there is a lot of variety and potential to work out your entire body with this machine. It’s really up to you, if you get creative, as to what lifts you can perform. With all of that out of the way, let’s talk about how this machine works. Each weight plate weighs 10 pounds. Now depending on the pulley system and which exercise you are doing, the maximum resistance is up to 200 pounds. There is a resistance guide in the owners manual. Some exercises will allow you to lift more than others. The chest press offers the most amount of resistance. A couple of things that I don’t necessarily like about this machine are that you can not add additional weight and it takes a while to build. Yes, you have to build it, as they say, some assembly required. From what I understand it does take about 3-4 hours to build from start to finish, so this would be a nice Saturday morning project. So if you are in the market for an entry-level home gym, I definitely think this is a great one to consider. You can easily do 3-4 workouts per week with this and get some good results. Again, it totally depends on your fitness level and goals. I also really like the fact that it isn’t super huge and takes up a ton of space. You can get a great workout without devoting too much real estate. I believe this is a quality product made by a quality company. I would recommend getting a floor mat system to set this up. Once it’s in place, you probably will not be moving it. This machine has a lot to offer with a wide variety of exercises you can perform. The Marcy Diamond Elite is definitely a home gym for the avid weightlifter. Pretty much anything you would want to do at the gym, you can do with this rack. If you get creative, I am sure you can do a lot more with this. You will love the fact that this system comes with a lat pull bar, a Smith Machine barbell, tricep rope, short bar, and a two hand pull. The bench is multi-function as well as adjustable. The backrest has adjustments ranging from -13 degrees to 81 degrees, so it does decline slightly. The Marcy Diamond Elite Smith System gives you the option of Smith Machine, free weight or cable exercises. There are just a ton of things you can do with this machine. As for the size, it’s big. The dimensions are 95 inches long x 79 inches wide x 86 inches high. You are going to need a decent amount of space for this guy. I would recommend about 8 feet x 10 feet to really have enough room to maneuver. This unit is really versatile and takes the home gym experience to a different level. One really important thing to note is, this doesn’t come with any weights. You will need to buy Olympic style weights separately. You are getting the cage and Smith Machine, and it’s a very solid unit that you are purchasing. There are built-in storage pegs for weight plates, so once you purchase the plates, you are set. If you are a seasoned lifter or want something you can grow into, this is an awesome unit. Okay, now the fun stuff. You have to assemble this yourself. Or you can hire someone to do that for you. This will be a really big load to transport if you are putting it in a basement. I would recommend having a professional assemble it for you. But that might also be part of the fun! Take your time, take a deep breath, you can do this :). When a lot of people think of home gym systems, Bowflex is one of the first names that come to mind. Bowflex has been making quality home gyms for about 30 years. The name is synonymous with quality and innovation. The product line offered by Bowflex has really expanded over the years and they really make great home gyms. 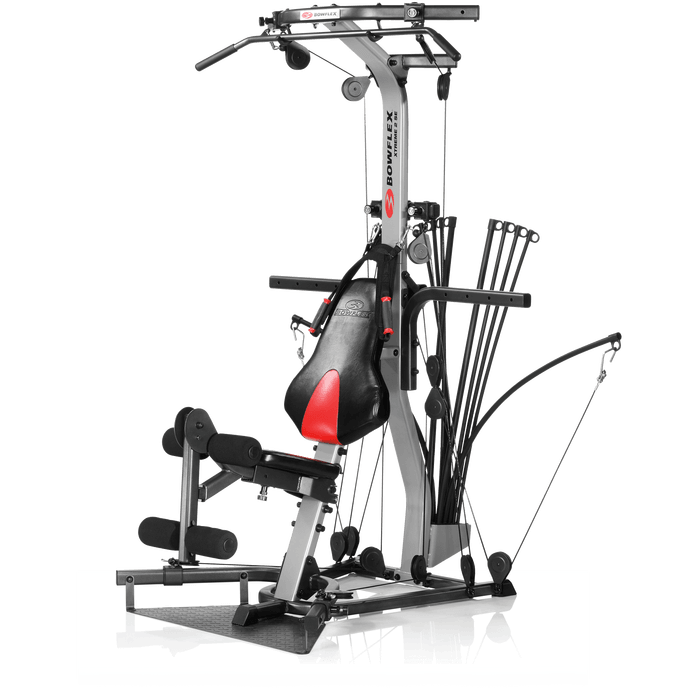 The Bowflex Xtreme 2SE Home Gym boasts over 70 exercises that you are able to perform. There are just a lot of different variations, as I mentioned, over 70 exercises which are really impressive. The machine comes with 210 pounds of resistance, but you can upgrade all the way to 410 pounds from there if you need to. With a large variety of exercises that can be performed, and the ability to upgrade and add more resistance, I really believe this is an awesome machine for a home gym system. You also have the ability to add additional equipment. Talk about versatility! You will love the fact that you can get a complete full body workout really as often as you want to with this at your beck and call. Whether you are a beginner or an experienced workout fanatic, you will be able to get a lot out of this machine. I really love how versatile it is, working for a lot of different types of people. You will need to have an area about 8 feet long x 6.5 feet wide to comfortably use the Bowflex Xtreme 2SE Home Gym. This compact size will fit in a lot of different places. The cable system is very unique. You don’t have to change out the cables to go from one exercise to the next. For instance, you can move from seated bicep curls to chest fly, without even moving. You can move from one exercise to the next really easily. Also, adding or reducing the amount of weight is super easy by changing the resistance using the Power Rod technology. The seat is also adjustable, so this will accommodate people of different heights and allow you to work each area just right. The Bowflex Xtreme 2SE does not come fully assembled, so you will need to set aside some time to build it. I would expect this to take about 3-4 hours. Bowflex is one of the first names that comes to mind when I think of a home gym system. They have come up with a very innovative design and are really committed to making great workout equipment for the home. I have used Bowflex in the past and really liked it. They have been making quality equipment for about 30 years. The Bowflex PR3000 will help you with a complete full body workout, and it is a very compact machine for everything you get. Bowflex uses Power Rods for resistance so you don’t have to worry about moving weight plates and can just focus on getting your work done. You will really like how the machine is designed and requires little setup or changing to move right from one exercise to the next with the innovative pulley system. The PR3000 offers more than 50 exercises for you. The machine itself is a vertical orientation, so being more upright allows it to take up less space. One feature I really like is that the seat is adjustable up and down, so finding the right fit for each exercise, or for each user, is really easy. The leg extension unit is removable (you can unbolt it) as well, which allows you to perform various exercises and not be hindered. Also, this removable leg extension helps to take up less space overall when not in use. The unit is not foldable for storage. The Bowflex PR3000 comes with 210 pounds of resistance, which is also upgradeable to 310 pounds. This will allow you to grow with the machine as needed. I think if you are a beginner, or intermediate user the initial 210 pounds will be a good fit for you. If you are a more experienced lifter, you may want to add more weight right from the beginning. If you are a bodybuilder, I would probably advise you look at other options :). This is a fantastic machine for the home and a great way to build and maintain muscle. The user manual is filled with fantastic workout information. So if you are a newbie, just follow the plans that are included and you will get a great workout. Bowflex makes a solid product and they have a lot of happy customers. I definitely think this is an affordable solution for a home gym. As I have mentioned previously, Bowflex is an industry leader in the home gym arena. They have been around for about 30 years and just keep on making, and coming up with great home gym equipment. I really think they are innovative and have great technology. The Bowflex Blaze is another unique home gym from one of the home gym leaders. You can do over 60 exercises with this machine and can easily complete a full body workout in a pretty short amount of time. As I mentioned Bowflex is innovative, like their cable system that allows you to move from one exercise to another very quickly, without having to remove weight plates. Their resistance, Power Rod technology makes it really easy to get a great workout. These are just some of the exercises you can do with the Bowflex Blaze. The unit comes with 210 pounds of resistance which can be upgraded to 310 or 410 pounds. One of the awesome features of the Blaze is the sliding seat that allows you to do actual rowing and leg press. So you can get some cardio in with your workout as well as building muscle. The bench moves and it serves you in a variety of ways. You can lay the bench flat or on an incline. This just adds to the many, many things you can do on this super dynamic piece of equipment. You will love the lat tower, which allows you to get a killer back workout in. Oh, squats, don’t forget about squats! The Blaze does require assembly and you should plan on 3-4 hours to get it up and running. The Bowflex Blaze also folds up for storage which I really think adds a lot of value. If space is limited, you will really appreciate this machine. Versatility is really the name of the game with Bowflex. It is compact and really easy to use. I just love that this machine offers so much value, and really it is like having a bunch of different machines all in one. If you are looking for a great home gym that is upgradeable and you can grow with, I think this is a fantastic option. If you are working out at home and are a beginner, or intermediate weight lifter I think this can really serve you well. If you are a professional bodybuilder, you may want to look elsewhere. For most of the people out there that want to get a good workout in under an hour, this is a fantastic option. The manual comes with some great workouts as well, so you have a great starting point. A very popular home gym from Bowflex, the PR1000 is such a great machine for strength training. Bowflex is really a leader in this industry of home gym equipment. They are constantly improving the home gym space with innovative ideas and equipment. With about 30 years of experience, Bowflex makes a quality product at a fair price and has a ton of satisfied users. Versatility is really the name of the game with Bowflex, as they put so much functionality into each machine they make. Again, this is just some of what you can do with the PR1000. One thing that is really nice about the Bowflex home gyms, is they provide a user manual that outlines all of the exercises you can perform with the machine. This is fantastic for those who don’t work out all the time, or people who have been away for a while and are trying to get back into a consistent workout routine. So, you shouldn’t feel intimidated ordering one of the fantastic machines. Versatility, I can’t say it enough. The multi-function bench serves many purposes (obviously). You can do horizontal (flat on your back) bench press, which a lot of other machines don’t offer, as well as an inclined position for chest flys. The bench is removable allowing the machine to become a rowing machine as well. This is a great entry level machine. The resistance cannot be upgraded here. The resistance ranges from 5 pounds to 210 pounds, which is really great for a lot of people. Just don’t buy this if you think you are going to compete as a bodybuilder. The PR1000 comes in pieces, so you will have to assemble it yourself, or you can hire someone :). I would like to just say that I think this machine is easy to use, versatile and will serve you well. Plus it folds up for storage. You can use it in your living room, garage, even your bedroom. I really don’t know how well it works as a clothes hanger :). Overall this is yet another fantastic option from the folks at Bowflex. The Weider Ultimate Body Works is a different kind of home gym. I am sure you have probably seen these types of gyms advertised. The idea here is to use your own body weight to get a great workout, no weight plates to mess with. This machine is definitely geared toward more sculpting and toning and less on building a ton of muscle mass. This machine works with your body weight to create resistance. When you adjust the incline bench higher, or lower, you are able to increase or decrease the intensity of the workout. This machine is truly designed for a complete full body workout. You can get a great upper and lower body workout to help you maintain a balanced physique. This is great for people who have issues with joints, or muscles because the workouts are very low impact. The bench is where the action starts. Basically, the bench is on wheels and through a pulley system, The Ultimate Body Works slides up and down using your body weight as resistance. The really cool thing about this particular unit is that it also comes with resistance bands. These bands allow you to increase the resistance, adding to your body weight. The folks at Weider have designed this machine with space in mind. It can easily be stored under a bed or in a closet. So you can literally keep this just about anywhere you want to. This home gym system allows you to do a ton of different exercises. It comes with a manual, so you don’t have to fret over how to use the machine once you get it home and are ready to use it. You will have to assemble it, but hey, that is part of the fun. If you are looking for a compact, easy to use home gym, that is very cost effective, I would definitely suggest giving this one a try. The fact that it folds up for storage is a great bonus. I would recommend watching some youtube videos and you can really see the variety of exercises possible with this Weider home gym. What you are getting is exactly that, a quality home gym. If you are looking for a machine to bulk up with, look elsewhere. In a lot of peoples minds, when they think home gym, they think Total Gym. This line of product has been around for years and they have a lot of satisfied customers. 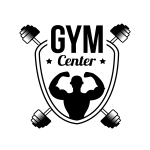 People have relied on and trusted the Total Gym name for a long time. You can get a seriously good workout in, at home with the Total Gym XLS. It comes ready to roll, no assembly required. Plus it has a workout plan that is really helpful. If you are a beginner, or more advanced in your workouts, the Total Gym XLS offers a ton of versatility. It boasts over 80 exercises! One thing I really like about this machine is the gliding action. This allows you to do some cardio training that other machines just don’t have the capability of doing. The Total Gym XLS works with your body weight to help you achieve great results. If you need more or less resistance, you just adjust the incline angle of the bench and away you go. The bench glides smoothly up and down the track as you pull or push against your own weight. This machine is really versatile and will fit a variety of users, which makes it really appealing. This is truly a complete full body workout machine. It is very simple to change the settings, so you can move from one exercise to another seamlessly. As you can see, this unit will fold up for easy storage, under a bed or in a closet. Bring it out when you need it and put it away when you are done. I know my wife would love this aspect, as she is not a fan of extra stuff cluttering up the house. The Total Gym system offers a full body, low impact workout, with a machine that can be neatly tucked away after you are done using it. I think this is a great option for a home gym. Well, I have been through a lot of different products here in this review. I hope you have gained some valuable information about these different machines and can now make an informed decision when it comes to your home gym. At the end of the day, you will have to consider what it is you want from a home gym. If you want to bulk up, you will need a pretty meaty machine, like the Marcy Diamond Elite. 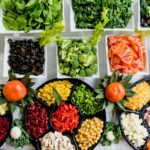 If your goal is more maintaining and getting a good overall workout a few times per week, some of the other options will be fantastic for you. Please let me know if you have any more questions or comments and I will get back to you as soon as I can. I always loved the idea of a home gym. As you mentioned, after seeing to all the chores, it can leave one with little time if any to make that journey to the Gym.I share your sentiments here. I actually cannot make up my mind as to which of the Bowflex gym systems to go for. What attracted me to this brand over the others was the fact that they are built with the ‘newbies,’ in mind. I want to buy a system that will guide me in terms of which exercises one should do and their frequency, reps counts, etc. In other words, I want to go for a system that comes with a workout program. Which Bowflex would you recommend to me? Thank you Roopesh for your comment. I definitely think that Bowflex has a great product and all of their machines will come with a workout program you can follow. Really any of the Bowflex gyms are going to do the job. If you are truly a “newbie”, I would say go with either the Blaze or the PR1000. These are really good for the “regular” guy. They come with a program, a wide variety of exercises you can perform, and you can get a really good workout in. Let me know if you have any more questions, I would love to help. I thought my home gym set up was pretty sweet until you showed me all these Steve. Front and centre of my lounge room I have my power cage with lat pull down and FID bench. My son also has a boxing bag he attaches to the cage when he comes over I can direct him to hit the bag rather than me. It is a pretty big setup and take up a lot of real estate in the lounge room which is why some of your options here probably sparked my interest. Simplicity is a big drawing card for me. How much maintenance does something like the Bowflex 2SE require? Yes, I love the simplicity of these machines, you can do a wide variety of exercises, they are very versatile. As far as maintenance goes, I reached out to Bowflex, basically just make sure the hardware is secure, that’s about it. You should do this every so often, maybe once a month or so. Thanks for leaving me a comment, I appreciate it. Anyway I’d love to be able to workout at home. At the time I only have a bench and minimal amounts of weights. Looking at your post I really like the MARCY DIAMOND ELITE SMITH SYSTEM WITH LINEAR BEARINGS. I think it’ll look really good in my basement and allow me to do the exercises I need. Hey, thanks for your comment, I appreciate it. Yes the Marcy Diamond Elite is a great piece of equipment. Your basement is a perfect place for this guy, it’s BIG. Thanks for stopping by my site! I think you’ve hit a nerve with the information you’ve given here. I have stopped my gym membership because of non-use and am spending a lot of time on my pc. My core has become a round ball in itself, and I have no excuse as this is New Year. There is no space in my home to place a home gym, however, your core exercises were very interesting and I see that you have written about other exercises for abs and also the plank. My wrists are weak, but maybe doing a different version of the plank may help? Thank you for commenting. I am glad you found my other posts on core exercises useful. As for planks, if you are able to perform them on your elbows, that will definitely help out your wrists. That is how I do them. A lot of people end up not using a gym membership, so I guess it’s good that you cancelled if you are not using it. You may want to take a look at the Total Gym I wrote about, as it folds in half and may work for your space. I finally moved into a house that has an extra room that I can turn into the perfect home gym. I was searching for some exercise equipment and came across your website. After reading your awesome article on The Marcy Diamond Elite. I decided to go ahead and buy The Marcy Diamond Elite. I can’t wait until it arrives. Thank you very much for stopping by Jack. I am glad you were able to purchase a home gym that will work for you. The Marcy Diamond Elite is an awesome gym, I am sure you will love it. Thanks for your comment, I really appreciate it. Home gyms are always a great solution. I know some days just the thought of cruising to the gym is what makes me not go. The drive is heinous… not to mention the additional time it takes to get there. Just like you said, a hundred different places to be all at the same time. Sometimes that leaves no time at all to go somewhere and workout. I definitely have that issue when I try and workout in the mornings too. I always think I’m going to get up and work out but I never make it out of the house. Perhaps if I had a home gym I’d hit it immediately after waking up. I used to have a Bowflex in my earlier college days and that helped for the quick Friday night pre-party workouts. Maybe I’ll go after the new model that you outlined here! Thank you so much for your comment, I appreciate it. Yes, I have the same thoughts sometimes about getting up early to get a workout in, but in reality, it’s tough to do. 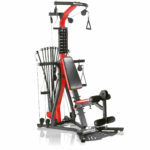 I really think Bowflex has makes a good quality product and they have a wide variety to choose from. Please let me know if you need any help zeroing in on the one that will work best for you. I will certainly do what I can to help. I’ve been hitting the gym for a couple of years now, it’s becoming a bit of a passion. So much so that i’m looking into getting my very own home gym equipment. i’m looking into the total gym XLS. 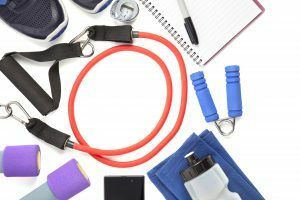 You state that it doesn’t come with any extra resistance bands, are they easy enough to find and what resistances do they come in? Thank you for your comment. As for your question, the Total Gym XLS does not have any capacity for added resistance like some of the other machines do. This is a body weight machine and you can increase the resistance based on the angle you set the bench. I hope this answers your question. Please let me know if you need anything else.